An interesting modeling concept is at work in these Waterline Series ships. 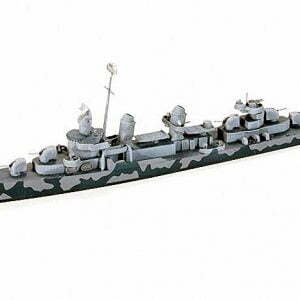 Each kit depicts warships of various nations as they appeared during WWII. What is of special significance, is that as their name Waterline implies, the models are of the portion above the waterline. Therefore they can be placed on a flat surface and appear as they would on the ocean, with the draught portion omitted. 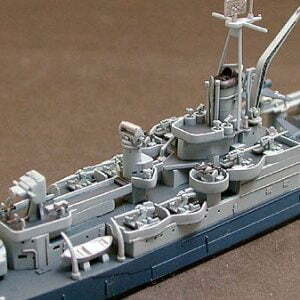 What”s more, 1/700 scale permits collecting great numbers of them and using relatively little space. With over 100 ships in this series, it is perhaps the largest collection of its kind in the world.